Below are some frequently asked questions regarding charges that we have put thru to your card and the reasons behind those charges. If you notice unusual or unexplained charges on your credit card don’t be concerned. Issues with unusual or unexplained charges to credit cards are very easy to resolve. What is a pre-authorization on my card? I didn't get connected but I appear to have a charge on my card? How does the charge on my credit card work? Why do I have a second charge for a small amount on my statement? 1. What is a pre-authorization on my card? A pre-authorization or pre-auth is a request we make to your bank to reserve an amount of money for us to charge, in part or in whole, at the completion of the call. This is to ensure that you have enough funds available in your account to pay for the call. At the moment pre-auth is set at $25 AUD for the first 10 minutes. When you call the Automatic Credit Card Facilty and enter your card details to connect to the psychic, a pre-auth of $25 will be reserved from your account. After the call, you will then be charged based on the number of minutes you spoke to the psychic at a rate of $2.50 AUD per minute. 2. I didn't get connected to the psychic and I got charged on my card? If you didn't get connected to the psychic and your credit card was charged, please call the helpdesk immediately using the numbers below. We will try to resolve the matter straight away. Unfortunately though, in some instances, the only action that can be taken is to wait a few days. Pre-authorizations are automatically removed after 5-7 business days if no money is collected. However, if you call the helpdesk straight away, we can check our records and let you know what the outcome of the pre-authorization or charge will be. If there are any problems or issues arising from this, we are always more than happy to help resolve the issue in the best way possible. 3. How does the charge on my credit card work? 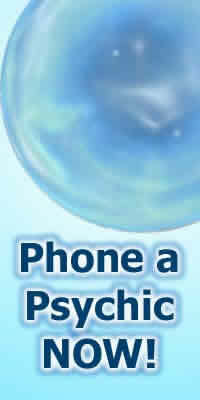 Our system charges your credit card on a per second billing for the time that you speak to the psychic. If you speak for 5 minutes you will be charged for 5 minutes at $2.50 per minute which cost $12.50 AUD. This means that if you go for 8 minutes and 45 seconds, you will be charged for exactly 8 minutes and 45 seconds. The start time of the call occurs the moment the system connects you to the psychic. You will not be charged for the time taken to enter your credit card details in the system. 4. Why do I have a second charge for a small amount on my statement? We realise that it may be disconcerting to see multiple charges on your card, so our system will recommence charging 30 seconds after a pre-authorized time has lapsed. For example, the system charges you $25 AUD for the initial 10 minutes, and you speak to the psychic for 10 minutes and 15 seconds, you will not be charged for the additional 15 seconds which would normally equate to $0.63 AUD. If you speak for 11 minutes, the system will, however, charge you for the an additional 1 minute for $2.50 AUD. Which will appear as an additional charge on your card. Simply call us. We are here to help you and to make sure your mind is at ease. Our business and our reputation is dependent on your satisfaction and recommendation. If you have any other questions, queries, suggestions or comments we will happily answer them or follow them up with you.